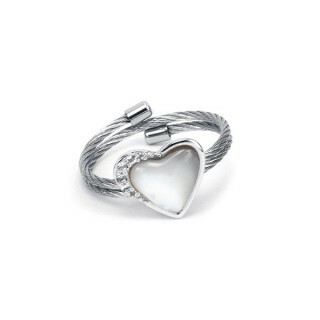 Silver and cable ring - Mother of pearl - Eight white topaz 0.12Cts. 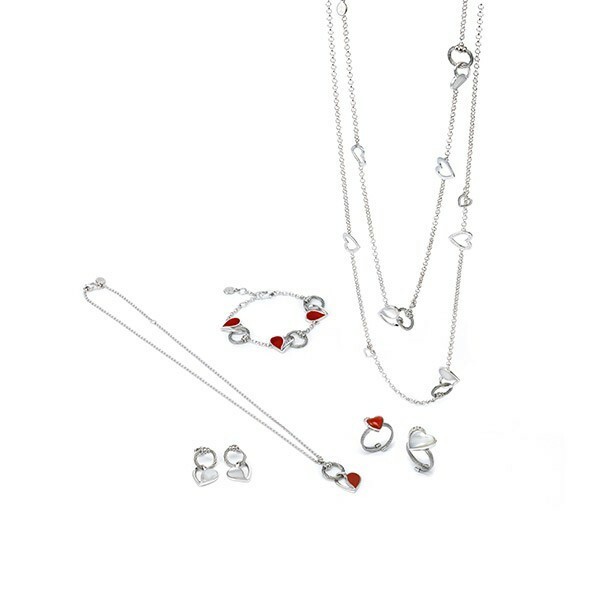 Just like a wonderful romance that is continually renewed, the “100 Ways to Love” jewellery collection has been refreshed and updated. 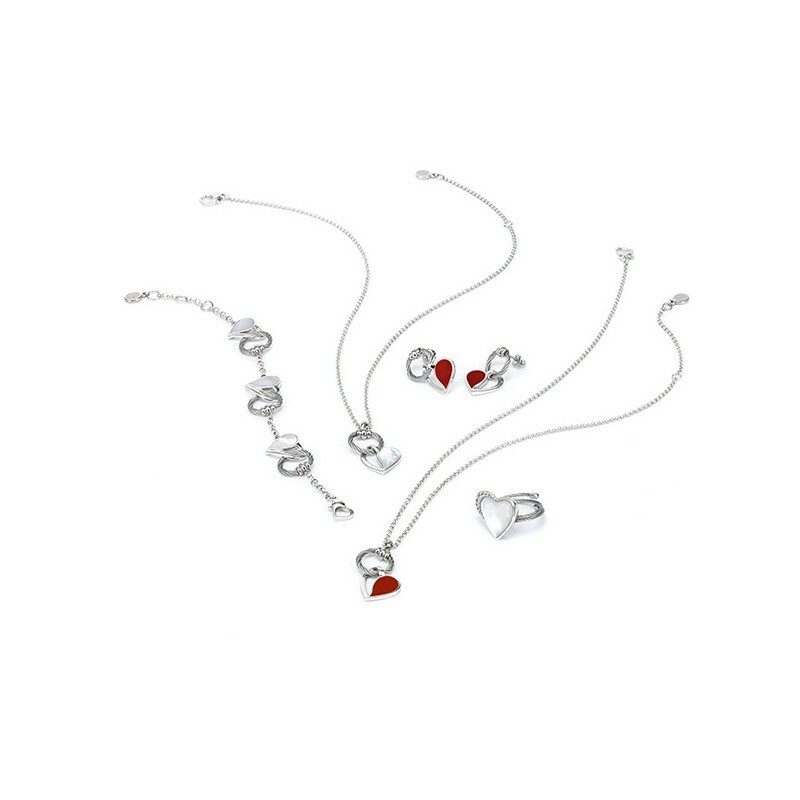 This romantic range offers an ensemble of pieces that show you care. 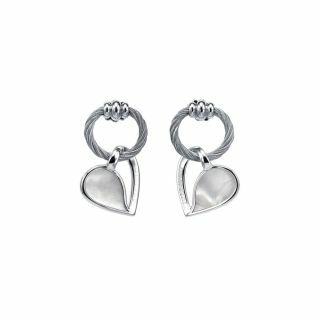 These pretty, feminine sterling silver collections express love not just on the most romantic day of the year, but for years to come. 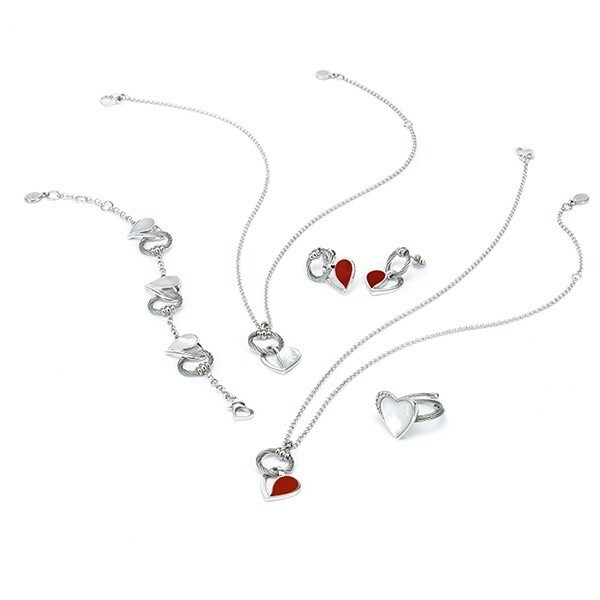 Charriol's '100 Ways to Love' Collection: life-long tokens of romance to make hearts flutter. 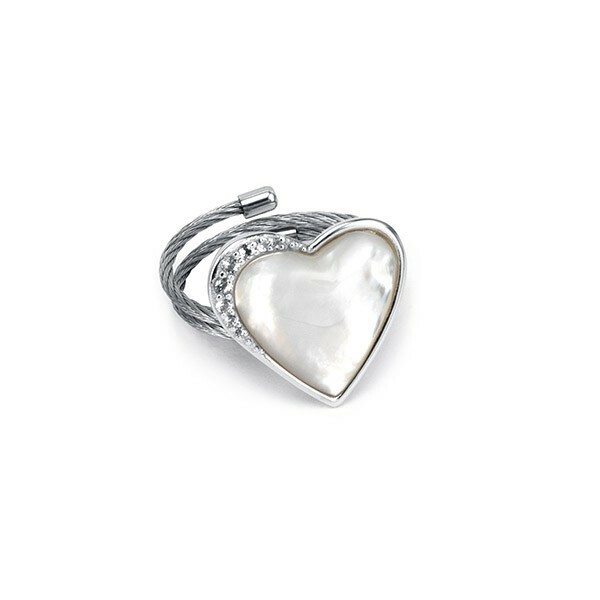 This feminine ring features a heart-shaped mother-of-pearl motif, which is bound in sterling silver and features white topaz detailing. 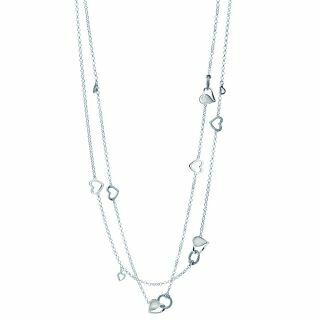 Just like a wonderful romance that is continually renewed, the "100 Ways to Love" jewelry collection has been refreshed and updated. 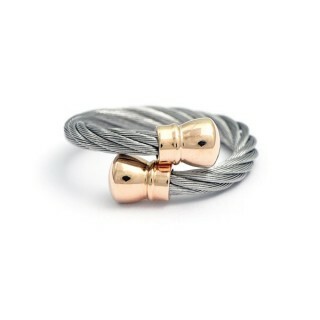 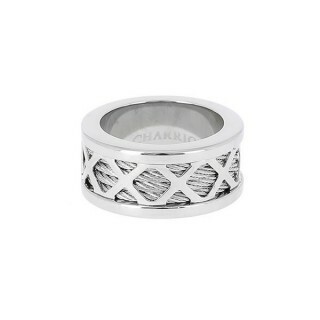 New to the range is this feminine ring, which symbolises eternal love. 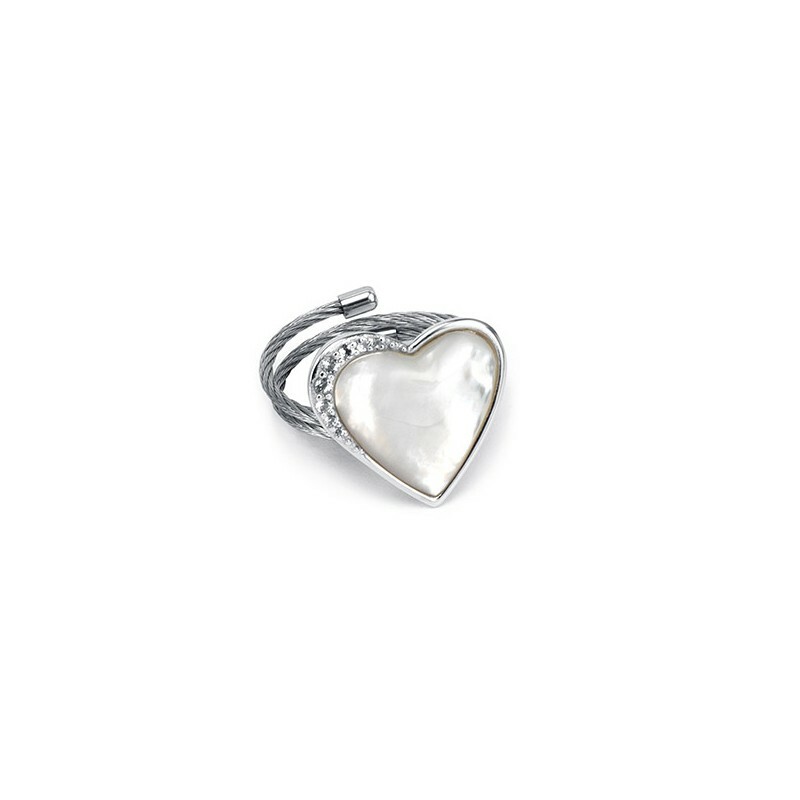 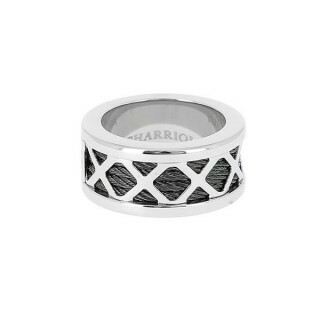 The heart-shaped mother-of-pearl motif, which is bound in sterling silver and features white Topaz detailing, sits on an open shank design crafted in our iconic woven steel cable. 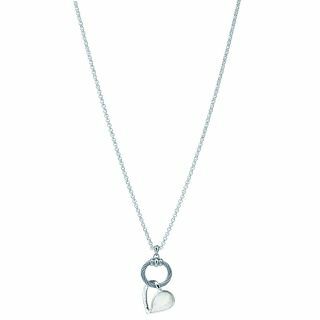 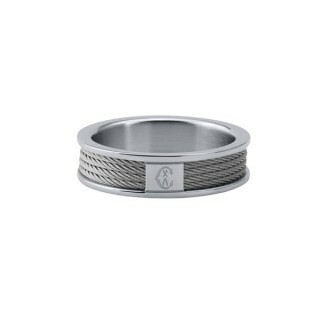 A timeless keepsake for someone special. 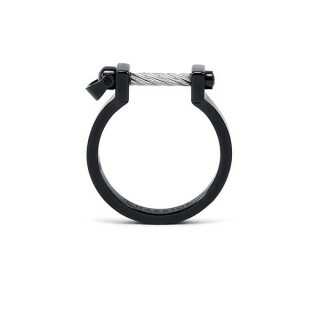 A smaller version is available. 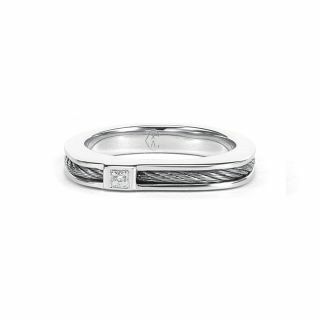 A romantic look, which can be worn with other pieces from the collection, or stacked with other rings for on-trend styling.